If judged by its size, Galatians might seem unimportant, and perhaps, even trivial. Certainly, it is one of the shorter epistles of Paul, and as literature, it would pass unnoticed or style or elegance. Galatians is a personal letter, simply written with a sense of directness. This, of course, is characteristic of the New testament epistles as a whole, the epistles being letters rather than literature, but even so, their impact is far-reaching, profound, lasting. And in this way Galatians, as an epistle, is no exception. Here, the central theme emerges as a contrast between law and gospel, and such a difference is more than a rhetorical one. In fact, such a difference results in far-reaching implications, for if the gospel is but revised law, then Christianity is nothing more than revised Judaism, and Christians are but proselytes. There were those in the first century who regarded the gospel as another legal code, as an extension, in fact, of an older code give by God through Moses. Galatians, though, answers such thinking. Galatians is a defense of the gospel, with an explanation as to why law is inadequate. Summarily put, law cannot justify men, cannot acquit men of sin. The gospel, however, can forgive me, and even change them internally, spiritually, and completely — something no law can ever do. By understanding Galatians, then, we can come to understand better the gospel and what it means. Galatians also provides us with the strength to live as Christians must live. The churches in Galatia were because of Paul. He personally preached the gospel there; many of the Galatians may have been baptized by him. It was almost by chance that Paul went to Galatia. He was ill, and needed to recuperate, but the Galatians did not find him repulsive. His illness did not prevent them from becoming Christians (4:13, 14). They respected and admired Paul. But something happened after had had left — something so serious that caused him to be alarmed. “I am afraid of you, “ he wrote, “let by an means I have bestowed labor upon you in vain” (4:11). who had become Christians, and their views are summarized in Acts 15:1: “Except ye be circumcised after the customs of Moses, ye cannot be saved.” The damage they caused in Galatia was immense, but it was not yet hopeless. Even so, the Galatians were dispirited, seriously troubled (5:12). Paul was no regarded with suspicion. He even asks them in his letter, “Am I therefore become your enemy because I tell you the truth?” (4:16). Further evidence of a distorted gospel could be seen in the Galatians’ behavior and attitude toward one another. Love had given way to vicious infighting and quarreling (5:15). And unless something intervened, the Galatians would completely bite and devour one another. There would soon be no churches in Galatia. Celtic warriors invaded many parts of Europe, and even sacked Rome in 387 B.C.Celtic Galatai (or Gauls) came to Asia Minor and settled with their families in the central highlands. Barnabas, Paul and John Mark all embark together, but Mark turns back upon reaching Asia Minor. Churches are established in Galatia; and elders, ordained. Paul and Barnabas disagree over whether to again take John Mark. Barnabas and Mark go to Cyprus. Paul and Silas enter Galatia on foot going overland through the Cilician Pass. Timothy joins them in Galatia and goes with them as they cross Asia Minor and enter Greece. Again, traveling overland and passing through Galatia, Paul comes to Ephesus. From here, he preaches the gospel throughout the province of Asia. And after making a final visit to the churches in Greece, he goes to Jerusalem. Galatia formed the central plateau of Asia Minor. It was one of the frontier provinces of the Roman Empire — comparatively large in area and vastly rich in history. 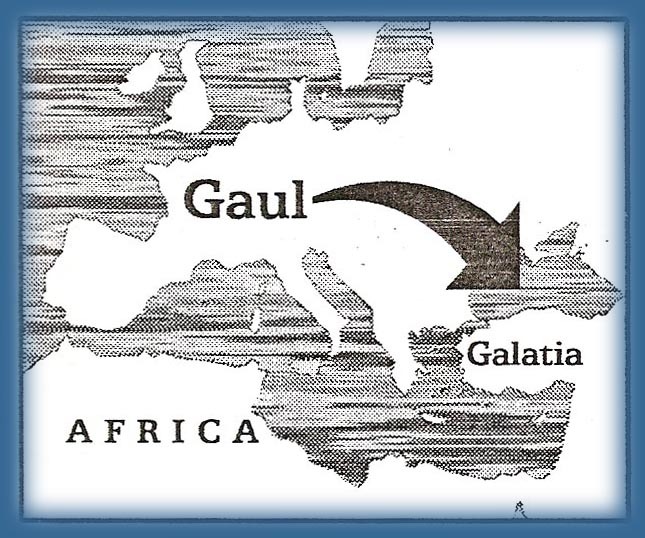 Its boundaries were irregular and often varied for Galatia was a mixture of peoples and regions. Areas such as Isauria, Pisidia, Lycaonia, and Phyygia were all a part of the province. In the north lived the Galatai (or Galli), a Celtic people who gave the province its name. Fiercely independent, barbaric, related to the Gauls of Europe, the Galatai swept down on part of Greece and then crossed over into Asia Minor in 277- 278 B.C. They were greatly feared by their enemies, and Galatai mercenaries came to be used in many ancient armies. Both Cleopatra and Herod the Great had Galatai bodyguards. Living in isolation like some barbaric island, these people tenaciously clung to their native language, customs, and heritage. 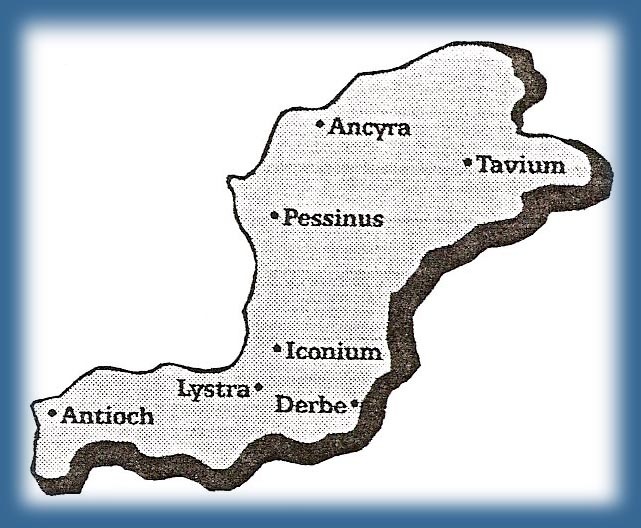 The important Galatai cites included; Pessinus, Ankyra, and Tavium. Galatians is thought to be one of the earliest of the New Testament epistles, and may even be the first of Paul’s letters, but assigning an exact date of writing is not possible. We do know, however, that Galatians was written at least after the first missionary journey. (There were no churches in Galatia before that time.). Also, the reference to Barnabas is suggestive (2:19). The Galatians would have known Barnabas since he and Paul were together on the first journey. There is also the unmistakable tone found throughout the letter — Paul had just recently been in Galatia (1:6, 9-9). Galatians, then, could have been written as early as 48 or 49, but a more likely date is 53. Paul would have then been on his second missionary journey, having already passed through Galatia. (He writes as though he had twice visited the province: “Because of an infirmity of the flesh I preached the gospel unto you the first time” — 4:13). A group of brethren were with Paul as he wrote the letter, but none are mentioned by name (1:2). Was this because they and the Galatians had never met? We cannot be sure. But if this is correct, then Galatians would have been written from either Athens or Corinth immediately before Paul was reunited with Silas and Timothy (Acts 18:5). However, those who believe the Galatian people are the ethnic Galatai of the north argue that Galatians was written in 56 or 57. Much of their thinking is based on the similarity of Romans and Galatians. (Since the books are so alike, they must have been written at about the same time.) But this position creates more difficulties than it solves. For one thing, Acts never mentions any visit among the Galatai people. Paul did pass through the Phrygian-Galatic region, but Phrygia was in south Galatia (Acts 16:6; 18:23). And then, there is the problem of the Judaizers themselves — why would they have ignored the churches in south Galatia? And further, if there were churches in north Galatia, why did these churches fail to send relief to the saints at Jerusalem? Churches in Macedonia, in Achaia, in Asia, and in south Galatia all did so (Acts 20:4; 24:17). Gaius of Derbe even accompanied Paul on his return to Jerusalem. All of this leads us to believe Galatians was written to those churches in south Galatia, written during the second missionary journey, written probably from Corinth in 53, but we cannot be sure. Decidedly militant in style, Galatians has been compared to a mountain stream rushing downward in full flow. The description is a good one. The language of Galatians is certainly passionate and strong; and the words, crisp, and full of life. There are examples of shock — “I marvel, “ writes Paul, “that ye are so soon removed” (1:6). He calls them foolish Galatians (3:1). And for them, he is very fearful (4:11). How he wishes he could be with them once again (4:20). The tone throughout is ardent, marked by unfinished phases and bold paradoxes. The paragraph describing his confrontation at Jerusalem is very abrupt, irregular — written with such intense style as to suggest what had happened there was till happening inside of Paul. He could not forget (2:1-10). Luther is right; this letter breathes tears. 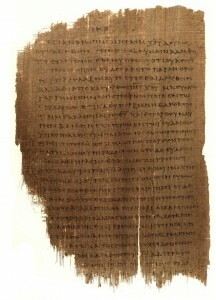 It is also the only letter of Paul’s written to a group of churches. Outlining Galatians is easily done since the literary breaks are natural and obvious. • Paul’s Apostleship (Chapter 1, 2) His apostleship is from God, not from men. Not even the apostles at Jerusalem could cancel his commission from God. On the contrary, they acknowledged Paul as an apostle and agreed that the gospel he preached was genuine. • The Law and the Gospel (Chapters 3, 4) The gospel may have definable standards as does law, but it is not a legalistic system. Men who have sinned cannot be acquitted by law. The law cannot forgive, cannot impart life. But the gospel can and does. God made a promise to Abraham that would ultimately affect all classes of men. That promise was the gospel, and its blessings are now realized through Christ. • The Life of a Christian (Chapters 5, 6) Christians are free from legal ritual so that they may serve through love. The gospel is not a license, but a new lifestyle, a lifestyle that begins from within and governs both attitudes and behavior. This internal change is the mark of the true Israel of God. And should a Christian try and live otherwise, God is not mocked — “he that soweth to his flesh shall of the flesh reap corruption” (6:8). How do the notions of law and gospel differ? How are gospel and law alike? What is it that the gospel can do that no law could ever do? What happens to the gospel when men turn the gospel into a legalistic system ? The gospel requires faith, but what does faith require? Cite a passage from Galatians as evidence for what you say. When the gospel has been distorted in a church what is the inevitable behavior of those who once followed Christ? It is all rather logical. If the gospel changed the Galatians into Christians, then when another gospel was preached, another change occurred within the Galatians. What did that behavior look like? If combining Mosaic law with gospel can transform the gospel into something abhorrent, what happens when we combine opinion with gospel? The Mosaic law was from God, but opinions are from us. Who were the ethnic Galatai? Explain from Scripture why the case for Paul preaching in north Galatia seems improbable. Summarize the first missionary journey of Paul, the second, and the third journey. Who traveled with Paul, and what route did each journey follow? Would the Galatians have known Barnabas? 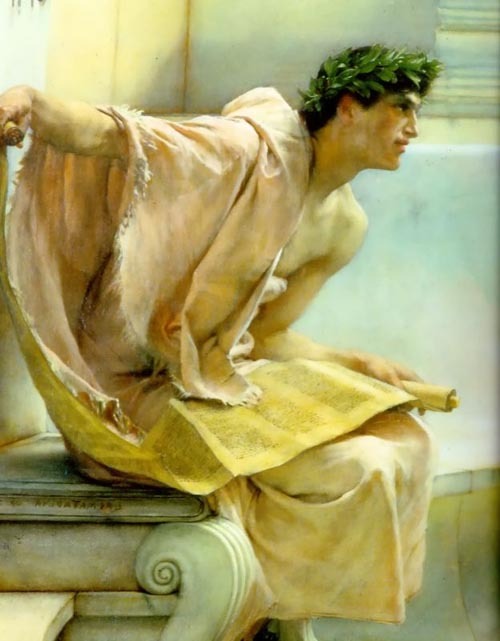 Who was Gaius? Who else was from Galatia? Referencing actual passages from Galatians, describe the emotional tone of the letter. Did the apostles at Jerusalem acknowledge Paul’s apostleship as genuine? Who certified Paul and the gospel he preached?